NEW YORK BlackBerry, formerly known as Research In Motion (RIM), says it has received an order for one million of its new smartphones, marking the largest ever single purchase in the company's history. The Canadian company is relying on the redesigned BlackBerry to fuel a comeback. The pioneering brand lost its cachet not long after Apple's (AAPL) 2007 release of the iPhone, which reset consumers' expectations for what a smartphone should do. 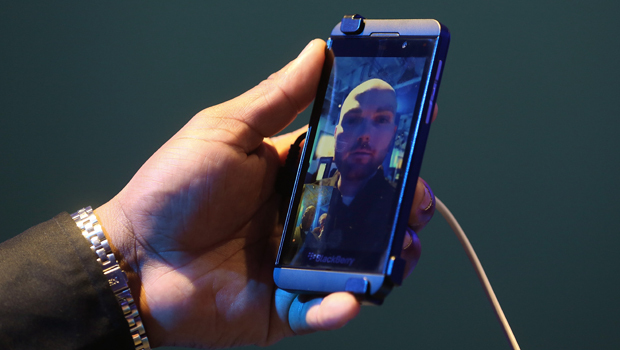 Blackberry unveiled the new BlackBerry Z10 and BlackBerry Q10 in late January. The Z10 is available for purchase in a number of markets around the world and will be available in the U.S. this month. The company did not disclose who placed the order, but said Wednesday that it came from one of its established partners. Shipments will begin immediately. Blackberry issued the statement just ahead of its quarterly earnings report on March 28. The company's shares jumped 77 cents on the news, or more than 5 percent, to $15.24 in late trading Wednesday. The company's stock has more than doubled since autumn on the anticipation surrounding its new devices.